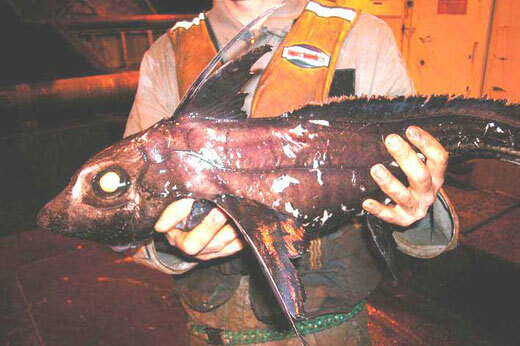 The Chimaera is also known as Chimaera fish, ghost sharks, ratfish, or rabbitfishes. These fish are related to both sharks and rays and are a member of the order Chimaeriformes. Unlike a lot of animals that you’ll find in the water, the chimaera has a skeleton that is made up of cartilage and their skin that is very smooth and has no scales also sets it apart from other fish that you may find in the same areas as this species. The chimaera ranges in color from black, to brown, to gray. It has a long thin body, and can grow to be about four and a half feet long. 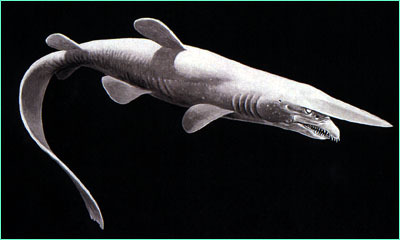 This species look like sharks in many ways including the claspers that they have, which are used for internal fertilization. While they have this in common with sharks they are different in that they have upper jaws that are one with their skulls and they do not have the many rows of replaceable teeth that sharks have, instead they have permanent plate like teeth that are used for grinding. The chimaera is usually found in very deep waters, though they have been found in waters that are as shallow as 1,000 to 1,600 feet. This family includes many different species and variants and they are found all over the world including in North America, South America, and even Europe. Most deep sea fishermen and divers are familiar with some form of the chimaera, as there are 42 known species of the fish that are out there in somewhat large numbers. 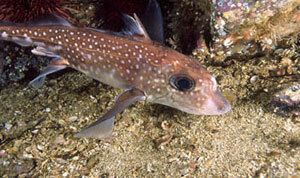 These fish dine mostly on bottom crustaceans and mollusks. 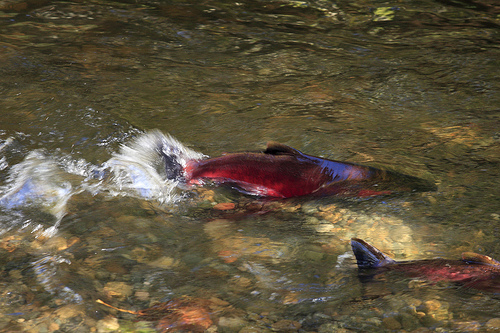 The fish are able to eat these things by grinding the food with their grinding plates that function much like teeth. Most of the species of the chimaera lay just two eggs at a time. The eggs are contained in small cases that are said to look very much like a violin case. It takes the eggs four to six days to make their way out of the mother before they drop off of her body. Most will tell you that this species has little significance or impact on ocean life or humans, but if you talk to a diver that has encountered one of these fish you may hear otherwise. Some of these fish have beautiful green eyes that are often compared to the color of an emerald and they are quite large, like cat’s eyes. When diving a diver may not see all that much that stands out in the depths at which these fish are found, but these fish can turn an ordinary dive into an extraordinary dive. That is thanks to their unusual shape and size, mesmerizing eyes, and movements that many say looks more like flying than swimming because they glide so effortlessly through the depths. oh my goodness this is kinda cool but i wouldnt want to have one of them in my fishtank and wake up and see it i would probleii die if i had one of them in my pond but oh well……. u are doing nice work. “Fred Smilek is the acting president of the Society to Save Endangered Species. It was founded two years ago by Fred Smilek along with his two best friends Charles and Jonathan. I think that this wed site should be shone to all schools in Caaliforina. What bodypart do they have to defend themself? I am doing a project on this for school and this website is very helpful thankyou. Just that one question! Ive never seen a fish like this before. I think that is the coolest thing ive ever seen. It would be cool to have one as a pet. omg, THNX! i so needed this for my school project!!!! THANKS YOU SOOOOOOO MUCH YOU JUST SAVED MY GRADE!!! Very interesting and very well writen. what eats Chimaera Fish ?! I think they’re so cute. Ever since i found them by accident by looking for pictures of the mythical Chimera beast. I’m glad they are becoming more known. thx alot:) :) :) :) :)!!!!!!!!!!!!!!!!!!!!!!!!!!!!!!!!!!!!!!!!!!!!!!!!!!! !YOU SAVED ME FROM MY TEACHER’S RAGE!